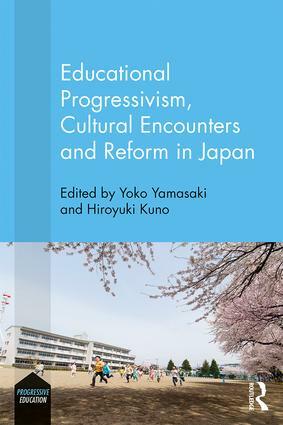 Educational Progressivism, Cultural Encounters and Reform in Japan provides a critical analysis of educational initiatives, progressive ideas and developments in curriculum and pedagogy in Japan, from 1900 to the present day. Drawing on evidence of both cultural encounters and internal drivers for progressivism and reform, this book re-evaluates the history of Japanese education to help inform ongoing and future debates about education policy and practice worldwide. With contributions from Japanese scholars specialising in the history and philosophy of education and curriculum studies, chapters consider key collaborative improvements to teacher education, as well as group learning, ‘life education’, the creative arts and writing, and education for girls and women. The book examines Western influences, including John Dewey, Carleton Washburne and A. S. Neill, as well as Japan’s own progressive exports, such as holistic Zenjin education, Children’s Villages and Lesson Study, highlighting cultural encounters and progressive initiatives at both transnational and national levels. The chapters reflect on historical and political background, motivations, influences and the impact of Japanese progressive education. They also stimulate, through argument and critical discussion, a continuing discourse concerning principles, policy, politics and practices of education in an increasingly globalised society. A rigorous and critical study of the history of progressive education in Japan, this book will interest an international readership of academics, researchers and postgraduate students in the fields of progressive education, comparative education, social and cultural history, history of education, Japanese studies, curriculum studies, and the history of childhood. Yoko Yamasaki is Professor of Education at Mukogawa Women’s University in Japan. Hiroyuki Kuno is Associate Professor of Education at Nagoya University in Japan.